Lebanon, Ohio: Gary Piattoni knows what it’s like to stand in front of a television camera and appraise antiques that people may only know minimal details about. For more than 10 years, he’s been an appraiser on a renowned television series. And in his experience, you never know whether awatch passed down from generation to generation or a beautiful watercolor painting bought at a local flea market will turn out to have more than just sentimental value. Now, Piattoni is coming to Lebanon and lending his vast expertise to nearly 100 area seniors, who are hoping to discover the value of their special treasures and history behind their family heirlooms. 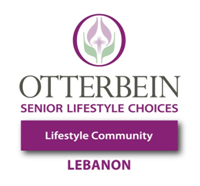 Otterbein Lebanon, a continuing care retirement community between Cincinnati and Dayton, will be hosting an Antiques and Heirlooms appraisal event for invited guests on Thursday, August 30, at 10:00 a.m. and 2:00 p.m.
“This is an opportunity for our guests to discover if their collectibles, family heirlooms and flea market finds are hidden treasures or just sentimental keepsakes. We’re excited to have Gary Piattoni in Lebanon to share his expertise with us, and I’m sure there will be many surprises throughout the day,” said Christine Carruthers, interim director of marketing for Otterbein Lebanon. According to Piattoni, his favorite part of the sessions, more than discovering the value of items, is sharing the history behind family heirlooms and favorite treasures, along with taking questions from the audience. “This event will be a fun and educational opportunity. This is just one example of the variety of events and activities we host throughout the year,” said Carruthers.